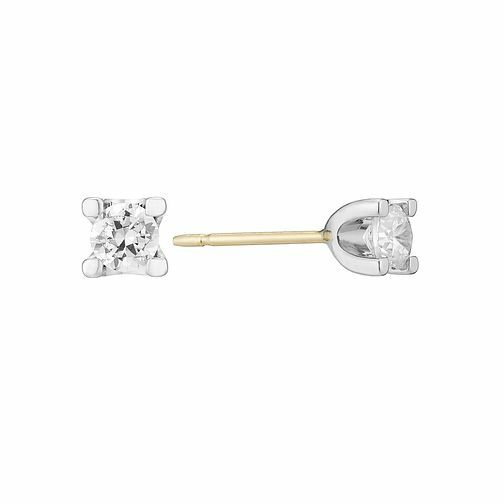 Simple yet stunning, The Forever Diamond presents these beautiful diamond stud earrings. Crafted from luxurious 18ct white and yellow gold, these chic earrings total half a carat of diamond. Each Forever Diamond has been independently certified by the GSI for colour, clarity, carat and cut for your guarantee of quality and beauty. Two Colour Gold Forever Diamond Stud Earrings is rated 5.0 out of 5 by 1. Rated 5 out of 5 by Anonymous from Excellent service, beautiful jewellery at great price The diamond earrings were a gift for my wife and she is delighted - worth every penny!